– Additional Liquidity Monitoring Metrics : the Liquidity Coverage Ratio (LCR) formed a core part of the post crisis regulatory response on liquidity. 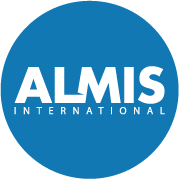 The ALMMs are a series of regulatory tools introduced in April 2016 and designed to complement the supervision of an institution’s liquidity risk by means of the LCR. Each ALMM takes the form of a detailed return on aspects of the bank’s liquidity position the bank is required to populate with data and submit to the regulator on a periodic basis. One particular return – the maturity ladder – which was originally considered but excluded from banks’ reporting requirements when the ALMMs were introduced is now being introduced in an adjusted form (designed to align with the LCR). Banks will be required to submit this new return (the C66) from March 2018. – Pillar 2 Liquidity Framework: the prudential banking regulatory framework divides into three Pillars. In the liquidity context the LCR is one of the cornerstone regulatory requirements and currently forms Pillar 1. The Pillar 2 framework is intended to complement the Pillar 1 regime by considering liquidity risks not captured, or not fully captured, under Pillar 1. The UK’s domestic prudential banking regulator the PRA is currently putting the UK Pillar 2 liquidity framework in place, using a series of consultation papers to drive the debate. In the latest, CP 13/17, the PRA has focused on cashflow mismatch risk and proposed it monitors this risk by means of a new reporting requirement- the PRA110. The proposal is that this return will build on the C66, requiring certain additional liquidity data on a daily basis over a 92 day period. The PRA is targeting 1 January 2019 for implementation of this new reporting requirement. – Capital+ : the PRA is proposing the formal introduction into the regulatory framework of a regulatory return providing forecast capital data, the ‘Capital+’. This return will collect ‘actual data’ ie estimates of capital data for the most recent reference period and also firms’ own forecasts. The data definitions in this return are aligned with various COREP templates eg Own Funds CA1. There are three different versions of this return, PRA 101,102 and 103. A firm will only submit one of these three returns, which one is decided by rules intended to apply some proportionality into the framework. So for example the largest deposit takers would report actual and forecast data on a monthly or quarterly basis using the PRA101, whereas the smallest firms would report forecasts only on an annual basis using the PRA103. This particular requirement started to apply on 1 October this year. – Forecast Balance Sheet and P&L: the PRA has issued new proposals on reporting forecast balance sheet and P&L. The proposal is to require firms to provide business plan forecasts for their current financial year-end and the following year-end in four new regulatory reports: PRA104 – PRA107. These new reporting requirements apply from 1 January next year, reporting to be on a half yearly basis. All firms which have not previously been required to complete FINREP reports will now have to report at least a minimum suite of 5 FINREP returns providing data on the firm’s balance sheet, its P&L and Statement of Comprehensive Income. This data will be collected quarterly, at both individual and consolidated group level. Some additional FINREP reporting requirements will result from the introduction of IFRS 9 on 1 January next year. These proposals will apply both to firms that apply IFRS generally and also to those which apply IFRS 9 as part of UK GAAP. Depending on the firm’s circumstances a firm in scope will require to submit a further 12 or 6 FINREP returns providing data on credit quality (including arrears and impairments).